While women continue to make gains across the broader economy, they remain underrepresented in STEM jobs and among STEM degree holders. Come join WITI and MassMutual at a fireside chat featuring Tara Long, CIO of MassMutual's Institutional Solutions business and chair of MassMutual's Technology Diversity and Inclusion Committee, and Dr. Nilanjana (Buju) Dasgupta, UMASS professor of Psychological & Brain Science and Director of UMASS Faculty Equity & Inclusion and Diversity Sciences. During this event, Tara and Buju will talk about some of the underlying causes of the gender gap, and importantly address steps that can be taken to close the gap and increase women's representation and success in STEM. It will also be an opportunity to hear insights into the work MassMutual and others are doing around this topic and the commitments to diversity and inclusion in the workplace. This will be an opportunity for attendees to network and mingle with your colleagues, members of WITI, and others. 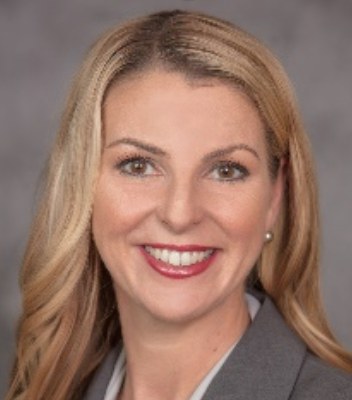 Tara Long works at MassMutual as the Chief Information Officer (CIO) for the Institutional Solutions business. Tara is a strategic and proactive CIO with over 20 years combined experience in Technology Program Delivery, Change Management, Information Security, IT Audit, Information Risk Management, IT Compliance, and Data Privacy. Tara is a proven leader at partnering with the business to understand their current and future business needs and in turn connect them to the right technology solutions at the right time. Additionally as a champion for Diversity and Inclusion, Tara leads and chairs the MassMutual Technology & Administration (MMTA) Diversity and Inclusion Committee with the mission of enabling a dynamic, innovative diverse and inclusive MMTA organization by attracting, educating, recruiting, developing, retaining and promoting diverse talent. She is a certified information systems auditor (CISA), certified information systems security professional (CISSP) and is also certified in risk and information systems controls (CRISC). She obtained her BA from Mount Holyoke College and earned her MBA with a concentration in management information systems from Western New England University. In Oct of 2018, Tara will be honored in Chicago as one of the recipients for the 2018 Women in Insurance Leadership Award. 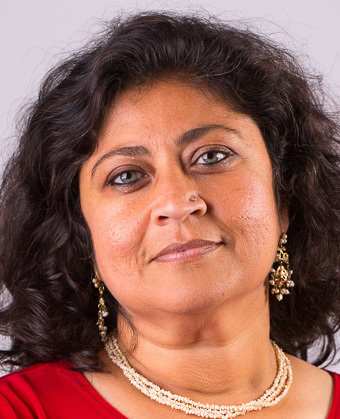 Nilanjana (Buju) Dasgupta is a Professor of Psychology and the Director of the Institute of Diversity Sciences at the University of Massachusetts, Amherst. Her research is on unconscious or implicit bias, how it impedes the experiences of women and people of color in science and technology, and solutions to promote diversity, inclusion, success, and leadership of underrepresented groups in STEM. A good bit of Buju's time is spent translating scientific research to inform applied problems in the real world such as employment discrimination, educational disparities in science, engineering, and technology, and the underrepresentation of women and ethnic minorities in professional leadership roles. She has discussed her research and policy relevant applications with legislative aides at the federal and state level; spoken about the applications of her research to tech entrepreneurs, venture capitalists, university faculty and administrators in STEM departments, and K-12 stakeholders; and given an invited presentation at an event organized by the White House Office of Science and Technology Policy on barriers to the inclusion of underrepresented youth in technology and evidence-driven remedies targeting this problem. Buju's research has been funded by grants from the National Science Foundation and National Institutes of Health. She received the Chancellor's Award for Outstanding Accomplishments in Research and Creative Activity, and the Distinguished Academic Outreach Award in Research from UMass Amherst. Level Playing Field Institute, a private foundation in Silicon Valley, awarded her and her students the Hidden Bias Research Prize. Buju received her Bachelor's Degree from Smith College and Ph.D. in psychology from Yale University.